Some might say that WOW!! That is too long. 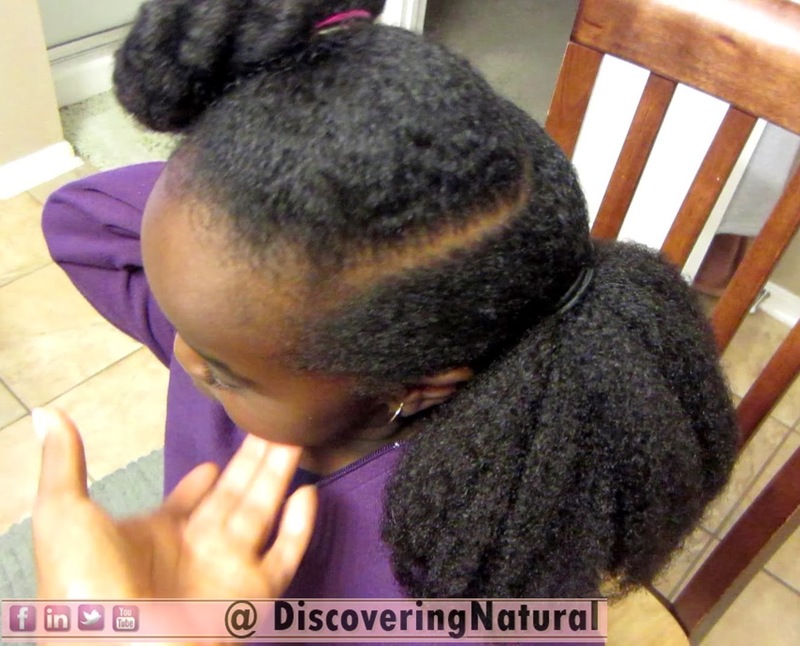 But for us, this is what works and it shows in the health of my girls' hair. Now, how do I speed up this nearly 2 and a half hours ordeal? The secret is to use Multi-purpose Products. With the use of Multi-purpose products, I am able to combine some of the steps in our wash day routine to make shorter. I will use one product that has the properties of a pre-poo, detangler and cleanser to wash the hair, This cuts down the 30 *pre-poo*, 45*detangling*, 15 *cleansing* time to just 30 mins. When you use a cleansing product that has great slip, detangling becomes a breeze. I then use a product that works as a deep conditioner and a leave in as my post wash care. That eliminates the 30 mins deep conditioning. Does this really work? Yes! I have been doing it for over 2 months now and the girls' hair has not suffered. LOL! Do you use Multi-Purpose products? How have they helped you? ﻿The first person to comment about this post will win a N500 recharge card on any Nigerian network. Add your email address below your comment. Thats a nice one. Cutting down on the hours spent making our lil ones beautiful. I spend a long time. I haven't timed it yet though. I would be on the outlook for such products. Kindly leave the name of the products for us who cant view the video. Thanks, Idy. To identify Multi-Purpose products, look at the Direction of usage for any of your products. If the product can be used for more than one thing, then it is a multipurpose product. One such is Shea Moisture Purification Masque which can be used as a Pre-poo and Scalp treatment.